With the pre-conditioning function, the cabin of ZOE is heated or cooled to the right temperature (set at 22°C) at the time specified by the driver. 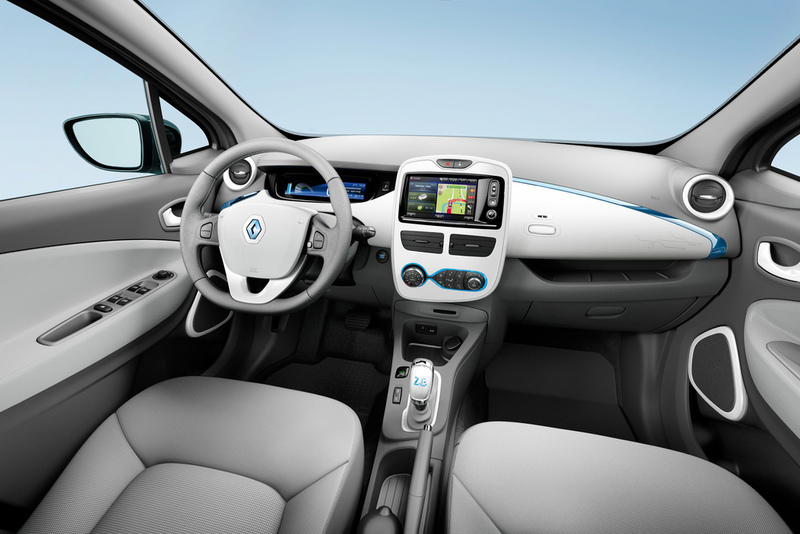 This function, which can be set from the car’s R-Link tablet or remotely from a computer or smart phone, heats or cools the cabin of ZOE when the car is connected to a charging station. The energy required to reach the desired temperature is therefore drawn directly from the socket and not from the battery, thus maintaining the range of ZOE. When the driver starts moving, the air conditioning or heating function simply maintains the set temperature without having to increase power to make up for a significant difference in temperature levels. via a smart phone or PC. An activated carbon particle filter purifies the air in the cabin, absorbing most unpleasant smells and pollutants. Made up of electrostatic layers and activated carbon, the filter traps ozone, nitrogen dioxide, sulphur dioxide, toluene, benzene and hydrocarbon particles (dust, pollen). It also filters out contaminants of just a few microns in size, such as pollen or soot. Extensive use of conventional air conditioning can make the skin feel dry. The air conditioning of ZOE automatically adjusts the level of humidity in the cabin for a more comfortable feel. TÜV Rheinland, a recognized, independent organization certifies that all the materials used to manufacture the cabin of ZOE fully respect the “TÜV Rheinland LGA Products GmbH”. Moreover, this certification also guarantees the efficiency of the pollen filter on ZOE against particles that could affect the purity and quality of the air. This topic contains 0 replies, has 1 voice, and was last updated by Trevor Larkum 5 years, 11 months ago.